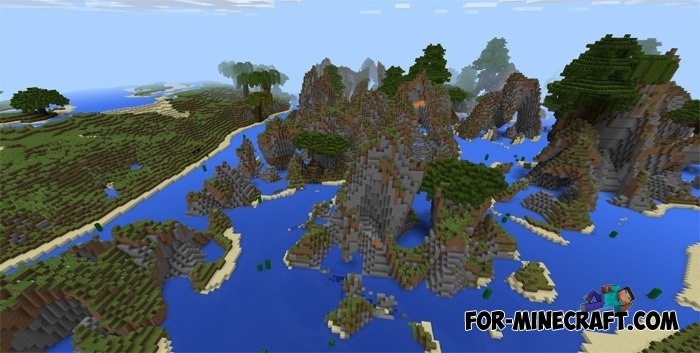 Do you remember a small but very diverse island where the map's creator built several biomes in one place? So if you liked that map then you will be delighted with this one, because almost all existing biomes are collected here and they all occupy a large area. This is an excellent platform for atmospheric survival together with other players, try to install this map on your server. You will feel the winter and see the snowy mountains, you can sunbathe and swim in the waterfall. 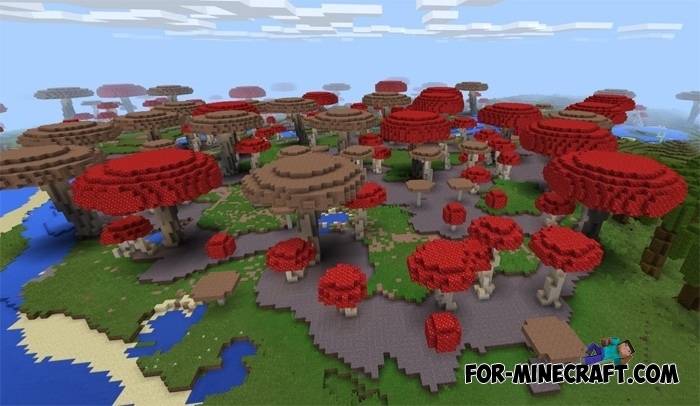 The Massive Custom Biomes map is a paradise place made in the original style of Minecraft PE. Survival Server for Minecraft PE 0.16.0Hello, Minecraft bro! I want to recommend you a survival server for Minecraft PE 0.16! What's special about it?